Perfect bound, 288 pages , 5.5" x 8.5"
The book is written with an easy island energy that you only get from laying on the beach and soaking in the sun. Several times in the book Pancho and Drew would head to the beach and watch the sunset. The disbursement of Hawaiian-island details really gave this book a warm feeling...Overall, this book was one that I found very enjoyable to read...Five the stars to this book! A most highly recommended legal thriller. Robinson’s characters are finely delineated and credible, and his plot is solid and well-crafted. A compelling and original story, fast-paced and well-written. A really good crime novel with a really suspenseful ending. David Myles Robinson has created characters that jump out of the book and feel like real-life people. 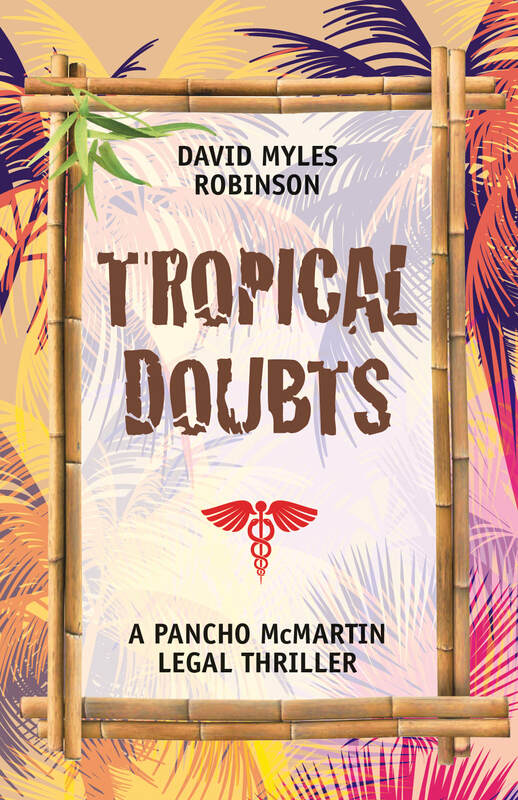 If you like detective stories, crime novels, and good writing, Tropical Doubts is a must-read. I enjoyed Tropical Doubts very much. Pancho is an interesting character, intelligent and pretty awesome. The flow is great and the narrative very evocative. The author makes the legal jargon easy to read.